That's the same headline we ran when it was learned back in June that Tony Gilroy would be writing the fourth installment of the Jason Bourne saga. And now that Gilroy has be named director of the film, according to Deadline, the headline remains relevant, with word coming that Universal (our corporate cousins) is ready to replace Damon in the films if need be. Gilroy has written the three previous Bournes, with Doug Liman directing the first and Paul Greengrass helming the second and third. Liman drove Universal crazy with his helter-skelter approach to filmmaking, though it's hard to argue with the results he gave them. Greengrass was brilliant, but he reportedly quit the franchise when Universal started work on "Legacy" while he and Damon were still at work on "Green Zone" (which we did not care for, btw). When the star and director were out pimping their Iraq War film, Greengrass insisted he'd never go back, while Damon said he'd only go back if Greengrass did. As we noted back in June, Gilroy is the obvious choice to direct "Legacy." His directorial debut, "Michael Clayton" was fantastic and his follow-up, "Duplicity," while not terribly good, at least looked pretty. Jeff Bridges, Matt Damon and Josh Brolin star in the Coen Brothers' remake of the classic John Wayne Western about a young girl who hires a legendary lawman to help her hunt down her father's killer. We'll go out on a limb and say there is no way Damon says no to "Legacy." 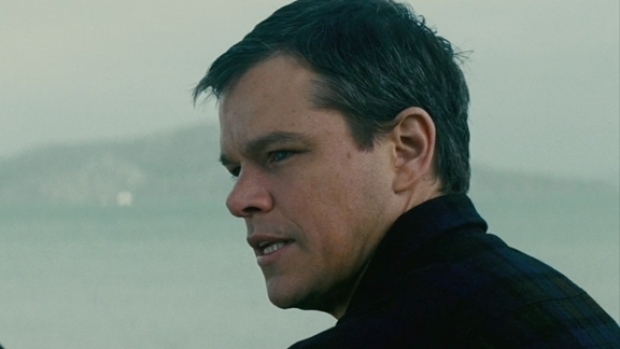 He is a huge star, loved and respected by critics and fans, but his movies--with the exception of the Bourne and Ocean's series--don't make money. His last three, "Green Zone," "Invictus" and "The Informant!" took in a combined $105 million. And other than the aforementioned franchises, only "The Departed" has topped $55 million in the last decade. None of this is to suggest Damon's a whore, rather that like his good friend George Clooney, he makes lots films for himself that don't do well (see: "The American"-- no, really, see "The American"), but makes those films possible by doing things like "Ocean's 13." And regardless of what you think of the trailers for "Hereafter," "True Grit" or "The Adjustment Bureau," none of those promise to be blockbusters. Come back too us, Matt. No one willl think less of you.